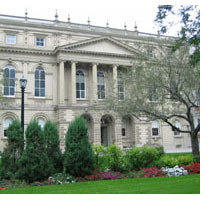 The Court of Appeal for Ontario is located in historic Osgoode Hall in downtown Toronto. The Court is composed of the Chief Justice of Ontario, the Associate Chief Justice of Ontario and 26 other judges including regular and supernumerary judges. The court hears over 1000 appeals and over 1000 motions each year. Appeals are heard by panels of three or sometimes five judges. Motions are usually heard by one judge but up to 25% of the motions heard in any year are dealt with by panels of three judges. The court's jurisdiction includes that consideration of both civil and criminal appeals from decisions of Ontario's two trial courts, the Superior Court of Justice and Ontario Court of Justice. Civil appeals deal with such subject areas as commercial disputes, property disputes, negligence claims, matrimonial and other family disputes, bankruptcies and corporate reorganizations. The court regularly must consider the fundamental rights of Ontarians arising out of rights enshrined in the Canadian Charter of Rights and Freedoms. The court has been called upon to consider issues as varied as the definition of marriage, the determination of aboriginal rights, the valuation of shares in an initial public offering, the right to governmental funding for programs for disadvantaged persons and the resolution of property line disputes between neighbouring cottagers. 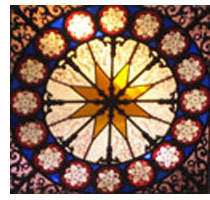 The scope of matters that may be determined by the Court of Appeal is as broad as the scope of disputes that may arise between Ontarians. Criminal law matters include consideration of correctness of acquittals, convictions and the fitness of sentences. In addition to appeals under the Criminal Code, the Youth Criminal Justice Act and other federal criminal legislation, the court also deals with appeals from convictions or acquittals under provincial regulatory legislation, such as highway traffic, environmental protection and workplace safety laws. The court may be called upon to determine whether legislation or governmental conduct has violated rights of individuals charged with offences, as guaranteed by the Canadian Charter of Rights and Freedoms. With the important involvement of members of the defence bar who have volunteered to assist unrepresented inmates, the court provides in-person hearings for those appellants who are incarcerated and without counsel. The Supreme Court of Canada hears appeals from less than 3% of the decisions of the Court of Appeal. In a very practical sense, the Court of Appeal is the last avenue of appeal for most litigants in the province. Construction of Osgoode Hall, a National Historic Monument, commenced in 1829. 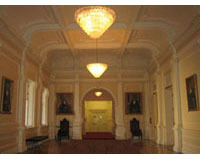 At least 10 expansions, renovations or restorations have taken place since then, the most recent being a 10 year project that has restored the building to its original grandeur and upgraded its infrastructure so that Osgoode Hall will continue to function as a working courthouse into the future. 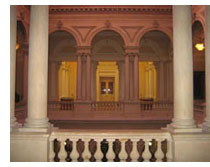 Located within a park-like setting in the heart of Toronto, Osgoode Hall, like any courthouse, is open to the public. Tours are available daily.